government and in positions of leadership impacts the conversation and policy. 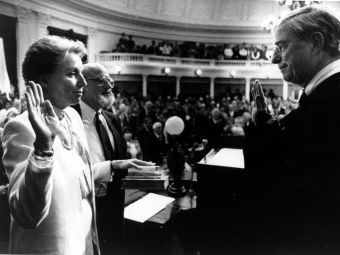 only – woman elected governor of Vermont in 1984. Also on the program, we continue our week-long series to celebrate the tradition of maple sugaring. VPR’s Steve Zind visits two backyard sugarers who show us how to get from sap to syrup.